The head of the foundation running the memorial at the former Nazi concentration camp Buchenwald said he would confront a German far-right politician with pointed questions when they hold talks Wednesday. The director of the site, Volkhard Knigge, said he agreed to the meeting requested by Stephan Brandner, a deputy from the anti-migration, anti-Islam Alternative for Germany, because he wanted to call out the party's attacks on Holocaust remembrance. "We want to use the opportunity to ask Mr Brandner about the historical revisionism and anti-democratic positions of his party and his own position on them," Knigge said in a statement. Brandner represents a district in Thuringia state where Buchenwald, the largest former concentration camp on German soil, is located. Atonement for the Nazis' crimes makes up a crucial component of German political culture -- a fact the AfD has called into question. Party co-leader Alexander Gauland in June described the Nazi period as a mere "speck of bird poop in over 1,000 years of successful German history". And an AfD politician from the same region, Bjoern Hoecke, has criticised the sprawling Holocaust memorial in Berlin as a "monument of shame". Hoecke, a former history teacher, was barred from attending Holocaust remembrance events at Buchenwald and the Thuringia state parliament in January. Knigge accused the AfD of "openly doing battle with the democratic culture of remembrance" with the aim of making it easier to "trample human dignity in future". Knigge pledged to work with his colleagues at other former camps "to do everything in our power to expose and defeat these AfD objectives". In announcing his planned visit, Brandner called Buchenwald "a warning to all that every dictatorship, whether politically red or brown in stripe, gives rise to crime and criminals". The statement was widely criticised as a false historical equivalence between Germany's communist and Nazi regimes. Between 1937 and 1945, the Nazis held almost a quarter of a million people at Buchenwald. 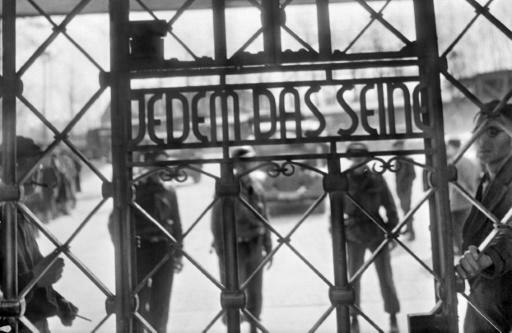 An estimated 56,000 people died at Buchenwald. They were either killed by the Nazis or perished through illness, cold or starvation. Thousands of Jews were among the dead, but also Roma, gypsies and political opponents of the Nazis, gays and Soviet prisoners of war. The AfD, which started out as a eurosceptic party in 2013, has since shifted to mainly railing against multiculturalism, Islam and the more than one million asylum seekers who arrived since 2015 under Chancellor Angela Merkel. The party entered the Bundestag for the first time after last September's general election with more than 90 deputies.